Several weeks ago, Mr. Paice and Mr. Silversides promised to allow the students to shave their heads if the students purchased 400 or more books at the Book Fair. 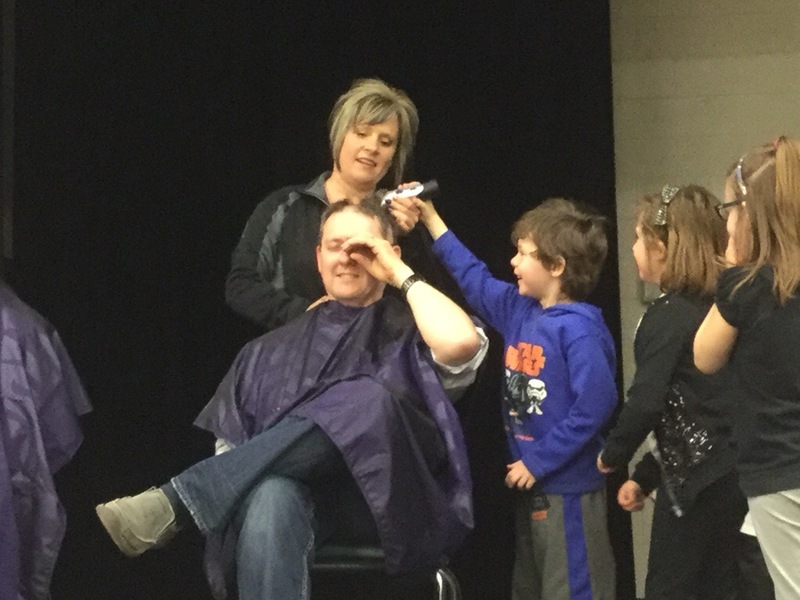 More than 500 books were actually purchased, so one student from each class got to help shave a head. The energy in the gym during this popular event was incredible. Well done students AND Mr. Paice and Mr. Silversides. Love the involvement from the whole staff! As a pre-service teacher I will keep this incentive in mind :). Love that you keep your students so hands on; they look like they are enjoying themselves and the lesson!